Hooray - the voucher has been unlocked! Now, even when you spend RM20, your shipping is partially subsidized! What are you waiting for? Just keeping shipping! Valid on 3rd April 2017, from 11.00am till 11.50pm. Valid for one-time use and first 500 users only. 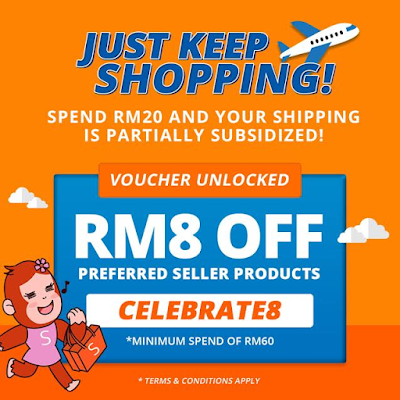 RM8 off with minimum spend of RM60. Promo code must be entered at the checkout page. Applicable to Preferred Sellers' products only except for feeding & nursing products, diapers & potties, tickets, vouchers, mobile top-ups, sim cards and bill payments. 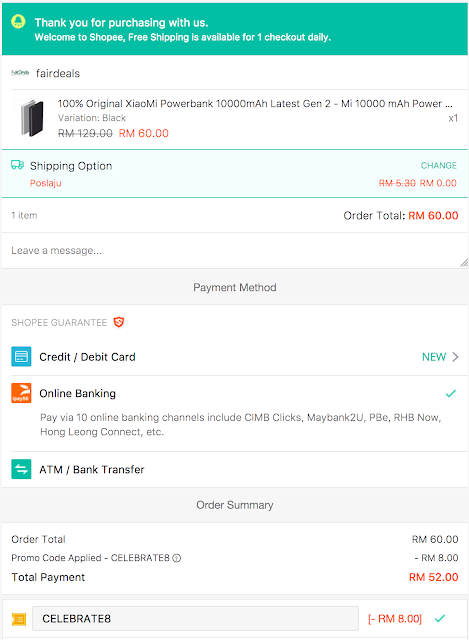 Applicable to payments involving Shopee Guarantee (credit card, online banking & bank transfers only).